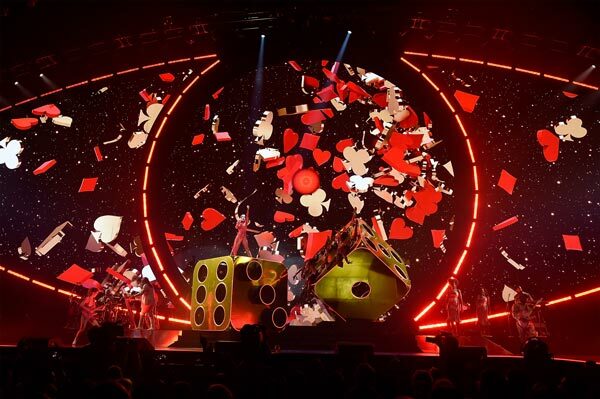 In the wake of the North American tour’s stellar reviews and added concerts, Katy Perry announces the Asia leg of WITNESS: The Tour. Produced by AEG Presents, Katy Perry will visit Bangkok on 10 April 2018 at Impact Arena, Muang Thong Thani. Besides Bangkok, WITNESS: The Tour Asia leg also includes Tokyo, Hong Kong, Manila, Taipei, Singapore and Jakarta. This announcement follows the addition of a South American leg in March, Mexico, UK and European legs kicking off in May of 2018, and an Australian/New Zealand leg commencing in July of 2018. For more information on Katy Perry WITNESS: The Tour 2018 Bangkok concert tickets, please log on to www.thaiticketmajor.com or call 0-2262-3838. For the latest updates, please log on to www.bectero.com or follow us on www.facebook.com/bectero, Twitter @BEC_Tero_Ent and Instagram @ BECTERO_ENTERTAINMENT.